XSLT is by default used by BizTalk maps (XSLT engine) to transform source schema to destination schema so there is nothing new (If you just open the .cs file of a map you can see it clearly there) Intention of this post is to highlight different usages of custom XSLT. 1) WHEN to use XSLT ? Whenever you have implement a complex logic in map. Like Grouping, Sorting or joining multiple input messages or carrying out operations with those multiple messages etc. 2) WHY XSLT and not Functoids ? i) There are a lot of simplifications can be done in that code like inline xslt functions can be used but instead functoids create .net functions for them. ii) Also lot of unnecessary variables are created in XSLT which is by default generated by functoids. iii) If you can write a good xslt you can write much more optimized. (Learning XSLT is pretty simple I would say.) Which in turn positively going to impact on your map execution performance. iv) Debugging XSLT independantly is very easy infact the Map debugging feature introduced in BizTalk intern uses the same XSLT debug functionality (remember the XSLT debug window which is opened at time of debugging a Map). You can keep you xslt seperate (custom xslt) and test it with your sample input messages independantly. 3) What is Extension XML ? When to use it ? When you need to call external assembly you will need the reference to extension xml. 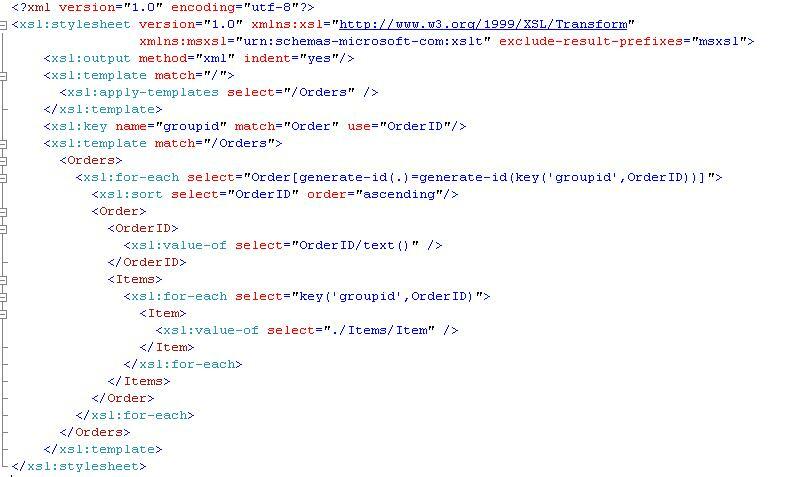 Link below will explain the details of extension xml. 4) XSLT Grouping ,Sorting samples. Imp Note:- As of now Microsoft only supports XSL 1.0, XSL 2.0 is much more powerful and contains a lot of functions compared to 1.0. My Wishlist would include support for XSL 2.0 from Microsoft in future versions of XSLT engine. Currently I am studying the WCF-SQL Adapter. I found very informative webcast by “Thiago Almeida” about WCF-SQL adapter. This webcast belongs to BizTalk 2009, but for beginners it’s still good starting point. I don’t think things will not much different in BizTalk 2010 at least not at beginner level. At the core of BizTalk Server are the Messaging Engine and the Orchestration Engine, which provide the underlying architecture for integrating and exchanging messages between various services, both within and outside your organization. Parses inbound messages to identify their specific formats. Evaluates message content to identify how the message is to be routed and processed. Delivers messages to their respective destinations. Tracks the status and state of documents. The BizTalk Orchestration Engine, in contrast, coordinates and schedules message processing and performs complex logic on the message as it is passed through a defined workflow.